Beit T'shuvah is a Los Angeles based community with a mission to guide individuals and families towards a path of living well, so that wrestling souls can recover from addiction and learn how to properly heal. The Beit T'Shuvah faith-based model, founded on authenticity and wholeness, integrates spirituality, psychotherapy, Jewish teachings, the 12 Steps, and the creative arts. They are a compassionate, supportive community, devoted to building an empowering sense of belonging and purpose to everyone who seeks it. 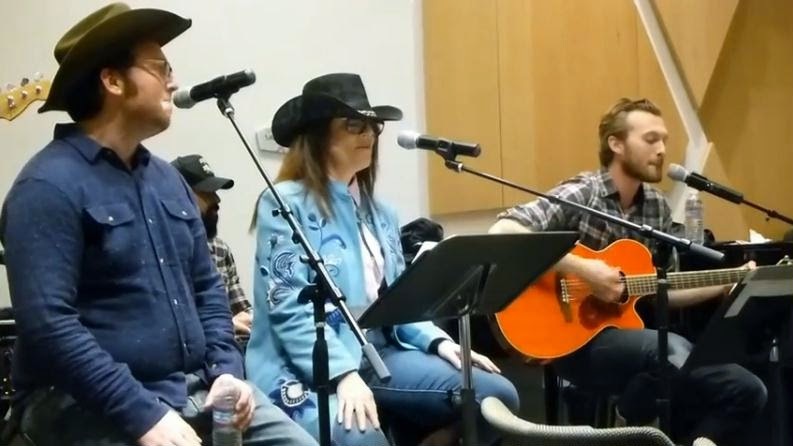 They also have a band, and last week they recorded a unique Outlaw Country Shabbat service with all the familiar songs in the Friday night liturgy sung to classic Country and Western tunes. So put on your boots and cowboy hats, and join them in welcoming Shabbat with Shalom Aleichem sung to the tune of Lookin' Out My Back Door as sung by Creedence Clearwater Revival. Perhaps you should try not being so judgmental. Not everything needs a label, especially music. Not everything needs a label, especially music.